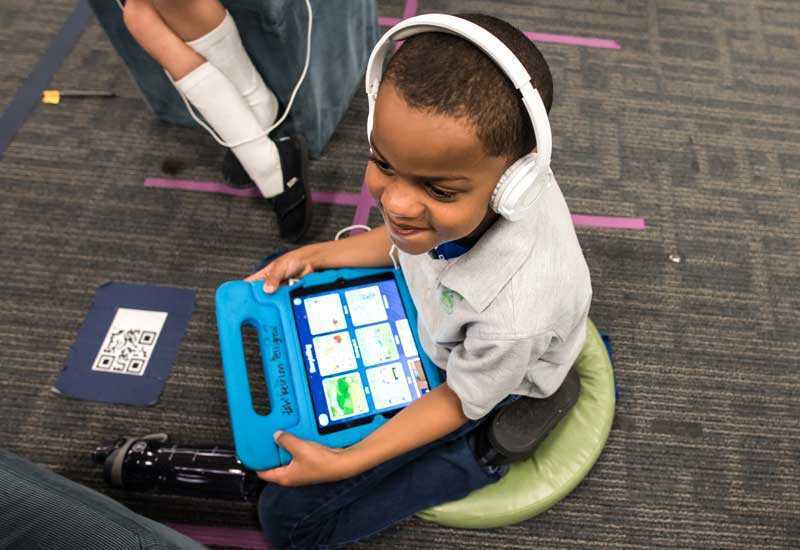 Educators will understand why a “one size fits all” approach to education does not support all learners and how stations can be a great first step to personalizing for students. Educators will explore various approaches to space, culture, and routines when implementing a station rotation model. 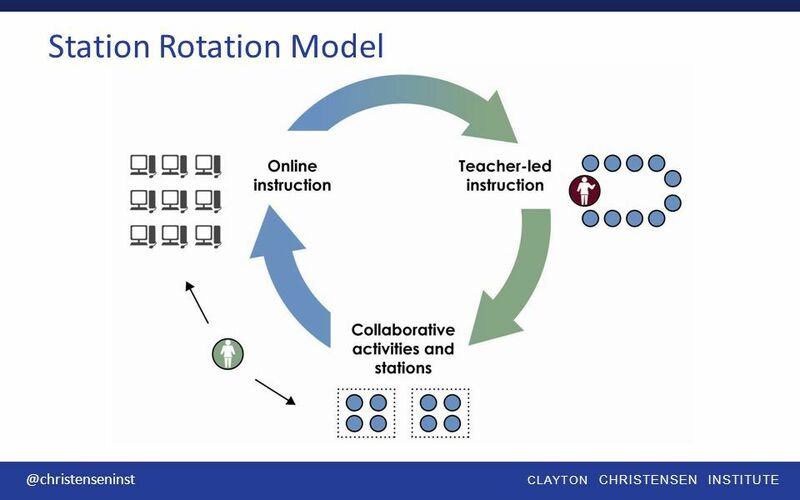 Educators will be able to implement a basic station rotation in a traditional structure by utilizing key strategies, tools, and research. Exploring research or case studies about any classroom practice can only take you so far - there is no substitute for trying things out in your own classroom. 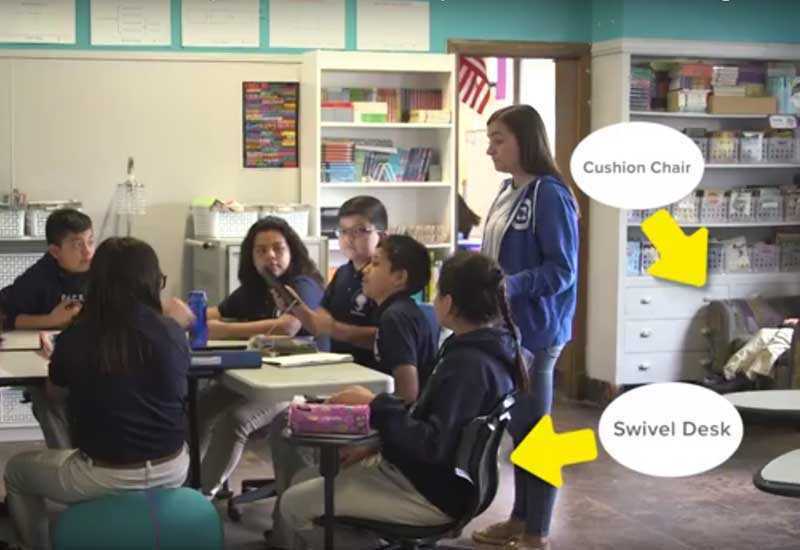 By starting with a small but powerful shift like creating classroom stations, you can observe the impact directly and modify the practice in a way that best serves your students. 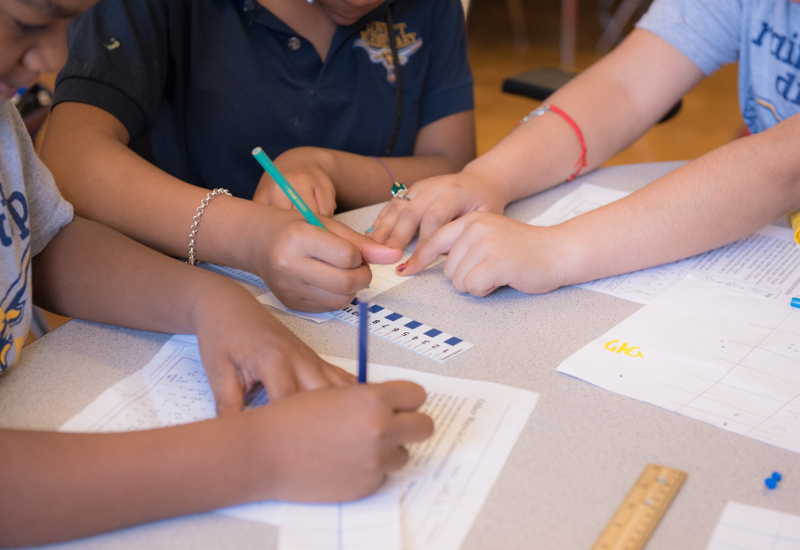 Centers have been used in many traditional elementary schools for decades to differentiate, scaffold, and personalize for student needs in a low-tech way. 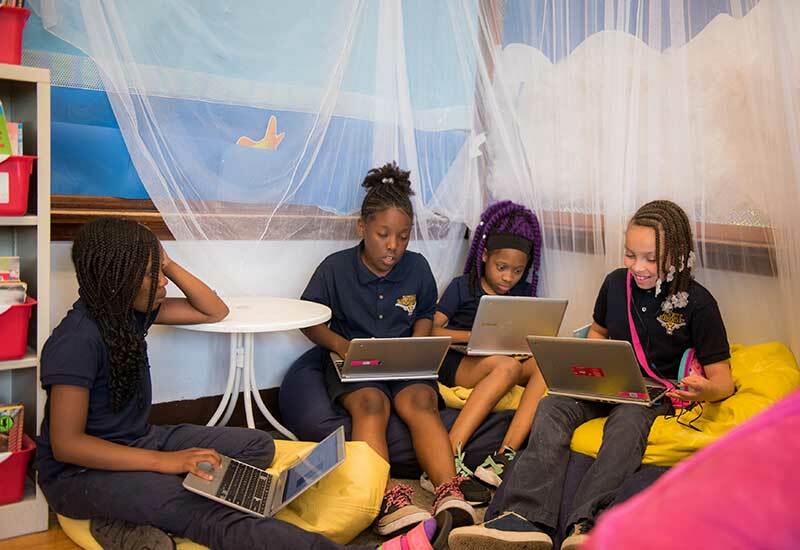 With current programs and tech options, centers can evolve to even more strategic station rotations where students can take agency of their own learning and access content where they are in a personalized manner. In order to do this, three main aspects of your classroom need to be revisited and/or refined to best support implementation. Culture: How can students take ownership of their own learning? How is it tied to space? When thinking about rolling out stations, a strong culture with clear expectations and student ownership is key to implementing effectively. Designing systems for student voice and choice ensures that students are invested and engaged in their learning. 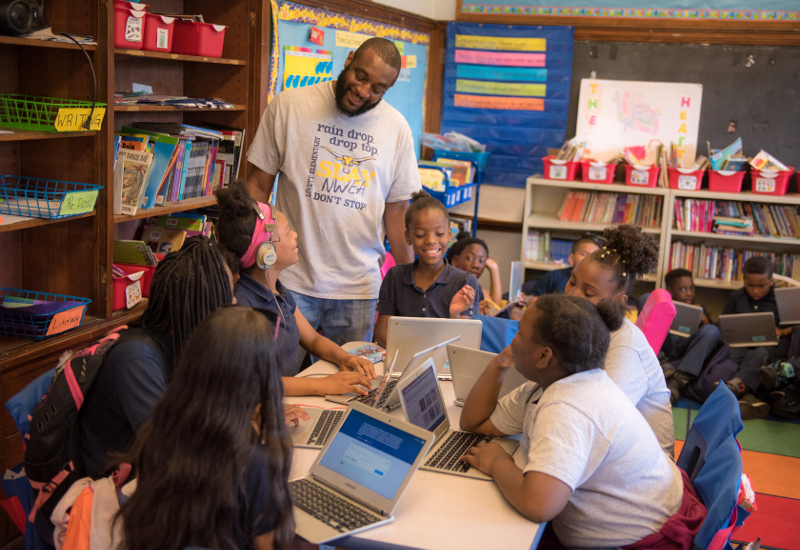 As new classroom systems are rolled out, it is important that students not only understand HOW the classroom is set up, but also WHY it is set up in that manner. For example, if there is a nook reserved for independent work, it is important to explain to students that the nook is an opportunity for students to work by themselves and not a timeout area. Also, by allowing students to make even small choices about how and where they learn best, you are giving students ownership of their own learning. When moving in this direction, you need to not only be clear about expectations but also give students tools to understand the way they learn best and in turn make good choices when utilizing all of the new options in the classroom. Here are some strategies to explore when identifying ways to give students ownership of their own learning environment and/or learn more about themselves as learners. 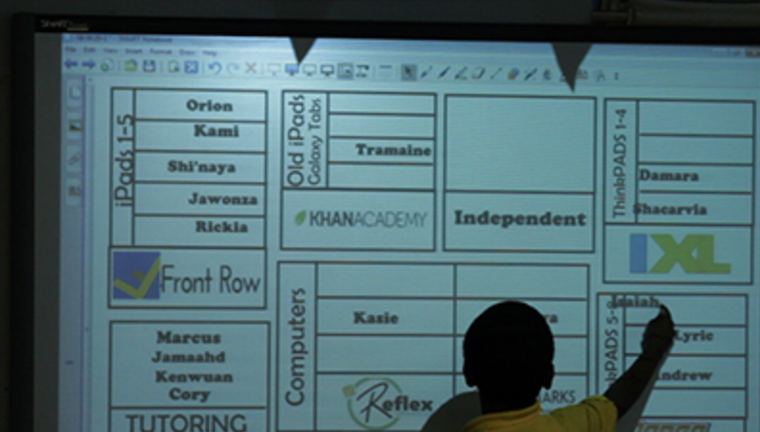 How can students have input into the classroom set-up and/or station options to better build buy-in and ownership? How do your students learn best? Is that involved in your classroom design? Are students currently given choices around where and how they learn? 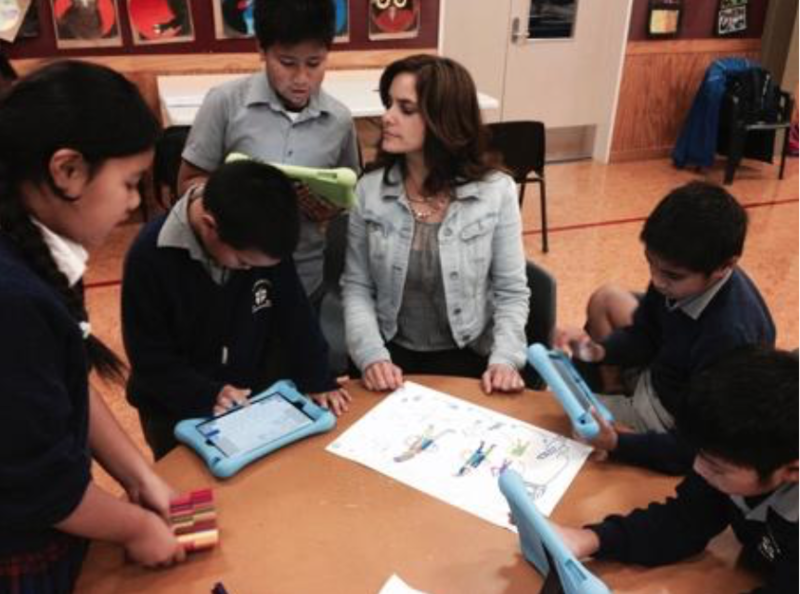 Space: How can you reallocate/reinvent space and the way your students use it? Space can mean many things: how you position your furniture, how you utilize hallways and doors, and even where you store materials and resources for students to access. In order to set up stations, you need to figure out how many stations you would like to set up, where they will be, what students will be doing, and where and how students will learn. 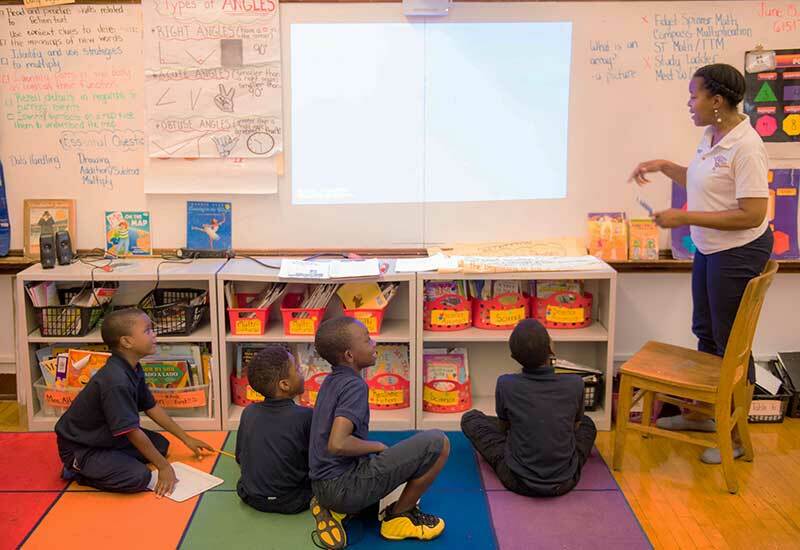 Many classrooms start with three stations: a small group for directed instruction, an independent workstation, and a collaboration section. Each of these areas can utilize different materials, include tech or no tech, and give students time to learn in multiple ways. What is your goal when creating stations in your classroom? 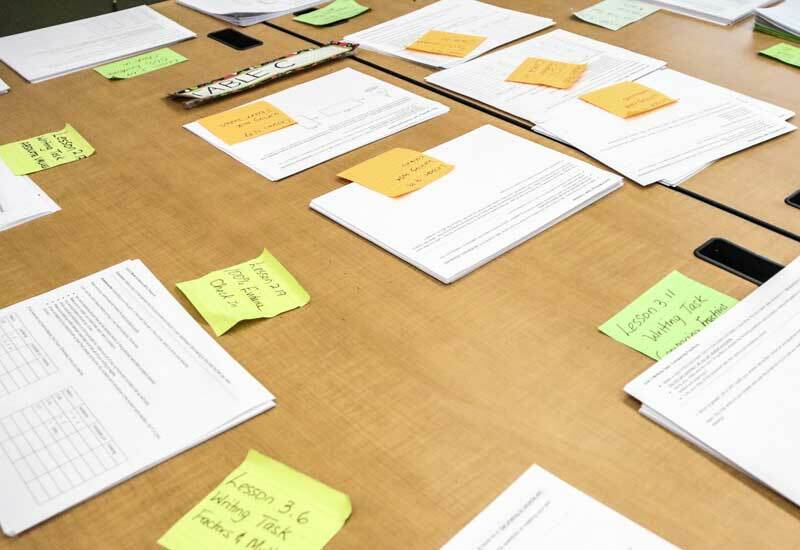 How do you envision the current classroom climate shifting as a result of creating stations? What will students be doing at each station? Reflecting on these answers will help you build a space that meets your students’ and your needs as opposed to just building a space that seems fun in theory! Where do you want to position the small group (so you can see the rest of the class as well as engage with the small group)? How many devices do you need? Where and how are they charged? Do you want some choice spaces where students can work by themselves or in bigger groups? How can you utilize your current furniture in new ways? For additional strategies on using space click here. 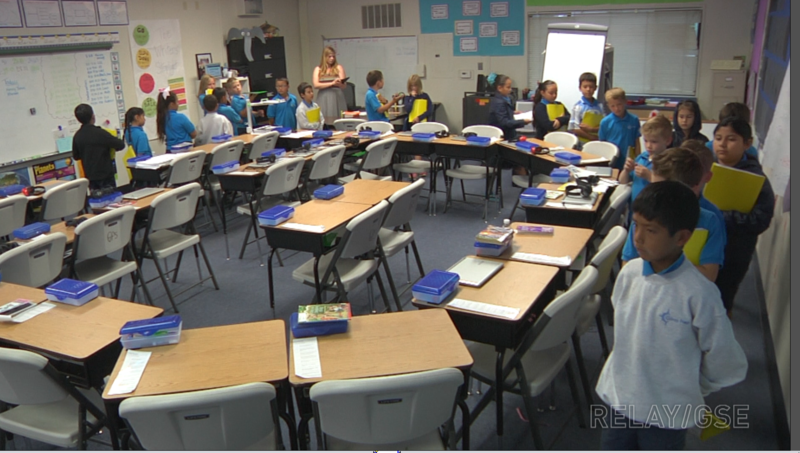 Routines: How will students move around the space? Use the space? 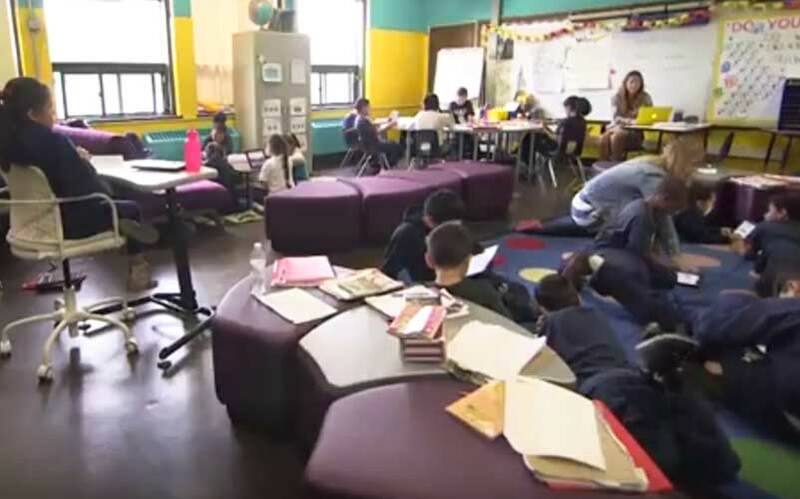 Once you have designed your space, you need to think about how students will move, enter, exit, and monitor themselves when they are in the various stations. Rolling out strong routines can help you use your time more efficiently and effectively, while also giving students clear expectations around behaviors and actions throughout the class time. 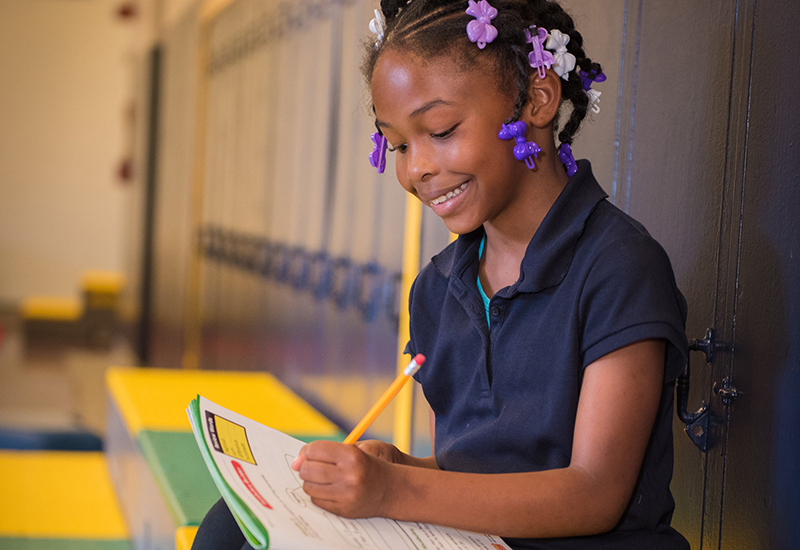 When exploring these resources, remember routines shouldn’t be just copied and pasted since they should match your, your students’, and your classroom’s needs. You also don’t need to do every routine at once. It is important to roll out routines slowly so that students can master one at a time and see meaning in the why and how. 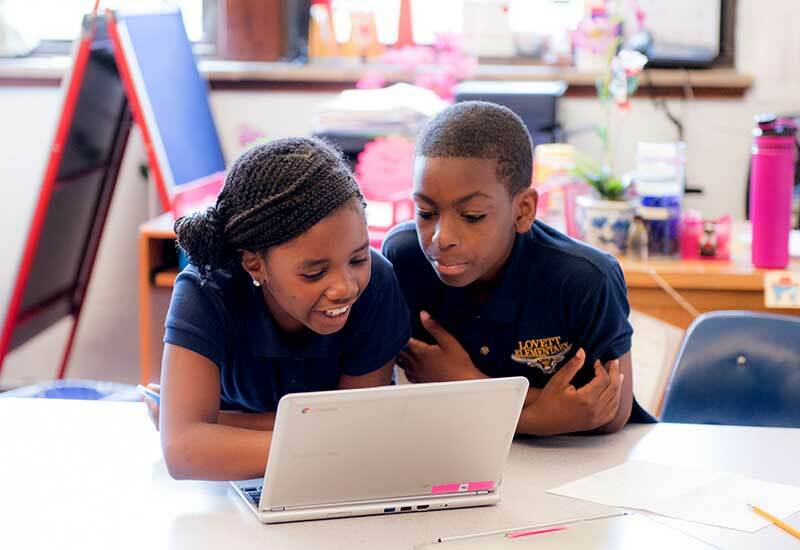 “9 Practical Tips for Setting Up Blended Learning Stations in Your Classroom” is a great resource to start implementing stations with concrete tips from PowerMyLearning. If you want to learn more about space, culture, and routines, check out Relay GSE’s Course on the the Building Blocks of Blended. This free course includes videos, resources, and strategies around space, culture, and routines with CFUs along the way.